She really doesn't know what she should do.. I Didn't Wanna Do IT! We both share with you some stories about being older siblings..
We help you through this difficult time. What started out as a fun filled episode got emotional quick, tune in to see why.. This is the worst guy on the planet earth. Never let what others say bother you. What has made you lose your boyfriend? She really really needs help and we are here to help. Never fear...Dexter and Edith are hear! To make you see, moving out is easy! Rhyming accidentally! You know what happens next right? Tune in to find out. Don't do drugs kids, that's the message from us here kids. Trust me when I say, it matters at the end of the day. Give me 15 minutes and I will tell you why that is a bad idea..
Clingy Girlfriends can't all be bad...can they? MRWL 100 - 100TH EPISODE MADNESS! 100 Episodes! We can honestly say thank you so much to everyone who has listened, commented, rated, shared and emailed us for help! We do this for you guys! www.mrwithlove.com is where you can find everything don't forget! Here's to the next 900! Share: MRWL 100 - 100TH EPISODE MADNESS! Always remember you are special, you are amazing, you don't need him. It's hard enough this generation trying to keep good friends but it is almost impossible to make them. Have you ever survived the 3rd Wheel Friendship of Death? MRWL 095 - Am I A Bad Feminist? Can you even be a bad Feminist? Share: MRWL 095 - Am I A Bad Feminist? We sit down with Heather of our Writing Team and take you on a roller coaster ride with a secret topic! Just for the record, no one enjoy's an overly attached girlfriend. When it comes down to it some things are better left unsaid, if only this listener would have gotten the memo. How do you break the news to your sister that her marriage is over? There comes a time in everyones life (don't even start the lie that you haven't) where everyone involved has done a little social media creeping. At the same time however, you have to ask yourself was it worth it? You would never believe how similar these two credentials are..we are here to show you. Normally when your Grandmother tells you to do something you do it..but when it comes to raising your kids? How often have you sat down and wondered, how do I friend zone this guy? We will tell you how and also let you know how that is not right! Facebook Drama is something that isn't new to anyone (only those who give up the book can survive) but when it starts to alter your relationship? There needs to be a change and we help you how..
Can you tell the difference? Leave us a comment below! We all have to deal with the crazy exes at some point. It feels like all relationships have to deal with them, what are some of the things you think that can be done to stop the madness? There is small room for error when you are trying to secure something with someone. The bad part about it is you really only have on shot. If you ruin that chance then the game is over and you have to start back at square one. Something that we all feel is so easy, turns out to be the hardest thing in the world to decode. Well maybe not national treasure hard but it is still pretty tough especially if she is a young lady with, options. 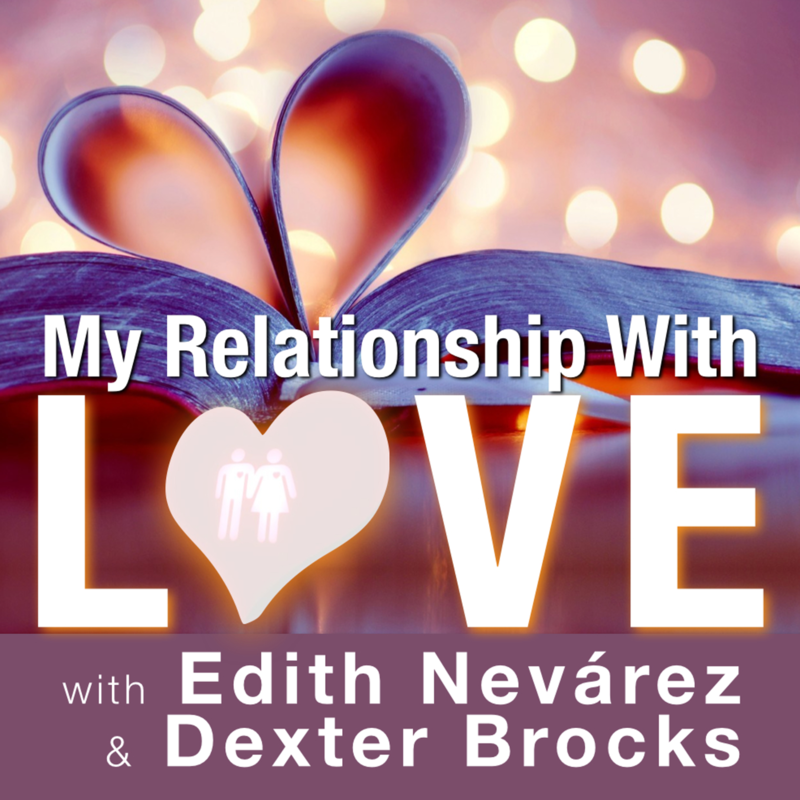 If you are someone who is struggling with the idea of coming out or struggling with the fact that your family might end all ties with you, this is the episode for you. At some point the everyone ends up in a relationship it is unavoidable. Those that think love can't find them or can escape it will get caught. The difference is when it bites you and you realize you want it so bad how hard are you willing to fight for it. Our friends can be great gateways to a ton of things in our lives. Sometimes they are great and sometimes they are bad, it's a sad sad situation when what is supposed to be your friend ends up being the reason something bad happens to you.. Lust is a very dangerous thing. Most times you think you are blissfully in love and you are on top of the world and can't be stopped. The something happens and you find yourself stuck. Well we take off the gloves and help you get out the situation.. The only question that needs to be asked here is......Bathtub? Our most telling episode ever, take a listen! Have you ever been in a situation where your family left you? Your brothers and sisters moved on, got married, got a family? It's not the end of the world and its not over! Understand that there is a light at the end of the tunnel, you can adapt! Not wanting a rebound guy is something that you have to come grips with yourself. Truthfully we have a belief that a rebound guy is all in your head. Sure friends could have a input and sway you, but trust us when we say, take your time with life.. Sometimes we just don't have the best of luck with friends..what's even worse is sometimes those friends end up sticking around and they become issues more so than helping improve the quality of life because we all know that's what friends are for. Â In some retrospects this turns out to be a harmless little incident and we can all move on without judgement. In others its a terrible issues that most girls find themselves going through in this day and age. To love a guy for him, not what he has. It's hard sometimes when guys doesn't get the hint. They can be pushy, mean and sometimes rude. That however isn't grounds to completly forget your manners. Two wrongs don't make a right and in this situation you both end up looking bad. When you make it a point to want to be loved and know you want to be loved you seem to compare your situation to others. That's never a good thing because every situation is different and you end up feeling your situation is worse, trust us it isn't. Threesomes are something that not every guy thinks about but most guys do. See how that works? Now that's not to say some ladies don't want it to happen. However before you being that situation into your relationship you must make sure it won't end it.. Breaking up with someone is never easy but it even becomes a worst time when that same person won't accept the fact that the relationship is over with. Worst even is when that person handcuffs you to the relationship through threats..
Jealousy is something that can cripple a relationship before it's even off the ground but at the same time it can be used as a tool. We don't encourage games here at My Relationship With Love but at the same time you need to know both sides of the game.. Most times you have to let a friend or someone that means the world to you go through their on problems and you just have to be the lifeline that needs to pick them up when it was all said and done..but what if you don't have a choice befofe hand? Our listener is dealing with a major problem and that comes to him in the form of a cheating girlfriend. How many of you can relate to him? How many of you have ever dealt with a cheating spouse? It's tough. We try to help him out. Sibling Rivalry is something that cant be avoided when you have siblings. It's a sort of a scary situation to not be the bad kid, or the kid that always ends up last. It's a battle to see who's gonna be best. Well that's the exact opposite in this story..
Is it ok to tell your significant other a little white lie to get out of a situation? Or is it even really a situation if your girlfriend was reasonable? We argue back and forth to help out our listener! We get a message from a struggling couple who can't get pregnant. We help them in plenty of ways! This is a good episode to share with someone who you feel might be going through the same thing. There comes a time in everyones life where they have to make a very difficult choice. Do you leave the one you love and go on with your life? Or do you gamble it all, waste your best years and wait for someone who could bail at any minute? Have you ever been in a situation where your girlfriend is lazy? Doesn't cook, or clean, or do anything remotely resembling that of a girlfriend..well it happens all the time and we help you get past it! If you can't tell the difference between someone who is really putting his or her heart in it or just someone who is being overly kind for the sake of feelings...we help you tell the difference! Have you ever had your Heartbroken? We teach you how to avoid it. Sometimes you get caught in a weird situations where you have to decide if the relationship is worth mending or breaking. Sometimes you have a choice and sometimes you don't, we show you how to seperate and control the two! Oft times as a child you run into a situation where you are the last virgin of your group of friends. There is nothing wrong with that trust us, don't ever feel obligated to lose it just because everyone else has! We teach you to work at your own pace.. When parents fight, as a kid it is a normal reaction to think you are to blame..However at the time its hard to wrap your head around the truth that parents are going to have fights and arguments and nothing you can do will help...only make it worse. Lita Ruiz comes on to the show and tears it up with us! Guest hosting with us for this Instagramer Lita Ruiz comes on to the show and tears it up with us! Guest hosting with us for this episode. We have a submission from a listener who thinks she's way too damaged to date. Do you know how hard it is to try to defend US as males with two ladies shutting you down left and right? I did my best lol this show was so much fun to record. It gets rough sometime when you can't find an out, however at the same time you have to think outside the box. When people tend to push your buttons because they know they can you have to overcome it. Never show weakness, always display strength. As parents there needs to be a certain level of understanding when it comes to handing out punishment for kids. Being vulgar with them isn't going to get the job done in the long run, time for examples. When you live at home with your parents it is certainly difficult to have a relationship with someone they do not want you to. We teach you how to juggle having that relationship and keeping the parents content..or at least try. Often times we stumble upon things we just don't have the time to understand. Dreams are exactly one of them. Whether it's something we don't even remember while waking up or we don't understand dreams can cause more pain then good..
Have you ever had a guy that you felt you could never get in a million years suddenly come on to you? Did it ever occour to you why? Well Dexter decides to let go an age old male secret and share it with the Women listeners of the Legion of Lovers. Don't let the title fool you this isn't about the Usher song! Our listener falls in love with a guy she met at the club just one time. We try to help her save face and even the infamous Natalie makes a visit to the show. Sexual sensations are a something that every relationship needs to be successful and continue for an extremly long time. But what do you do if your boyfriend watched a little too much 50 shades of grey? It's really rough dealing with bullies and the such outside of school but when you get home to be dealing with a menatally abusive family is not something that you can afford to deal with, in this episode we give you the tools to break free. Oft times in life we are all face with a great decision of do we go down the path that is going to lead us to a happy stable relationship or do we take the hot fun ride that's in front of us...we help you choose. Listen to it when we tell you that breaks do not work. Especially with someone unfaithful. Be better for yourself and move on. College is a very exciting time for everyone. It tends to be some of the best times of young lives and full of wonderful experiences. Picking classes can be a pain but we do our best to make it painless! Communication is key this day and age, that has been a staple for this show. You need communication to be successful in anything. Finding out early what your spouse expects in life will come in handy in the long run, we help you get there. When friends all start to fight over the same person it begins to look like a triangle, square etc. There doesn't on the outset seent o be a way out without friendships being lost. We help you close that gap. Jealousy happens to all of us, in every way. We can't fight the urge to get mad over a situation. In the long run there is no way to fight it but there is a way to embrace it. We tell you how! The last thing anyone needs is to be in a situation they can not control and in most situations like a parent being abusive the child is stuck. A listener is having this terrible problem, we help her out in more ways than one. When we have friends that seem to be going down a rough path or we as friends always feel the need to step up and do something about it sometimes they might nit be so welcoming to our help when they don't see an issue..keep fighting. This is a two part combined episode! We take two seperate stories and weave them in a way that is perfect for both listeners! This is one of our favorite episodes, we hope is serves you purpose forever! Your boyfriend is supposed to be someone you can reach out to in times of need. There is also no need for him to be the source of all your problems. Dealing with an immature boyfriend should be the least of your concerns. The last thing you want to deal with in a relationship is your spouse being friends or having some sort of relationship with an ex. Well, can you imagine the parent having something to do with it? We break all this down and more. Some of the first questions upon getting into a serious relationship with someone should be. Do You Want Kids? That will save you plenty of time and headache in the long run, something our listener couldn't avoid..
We never want you to feel like you are alone and in turn make you feel the need to harm yourself in any way. We LOVE you first and foremost above all. We never want to see anything happen to you and we explain ways in this episode to help you. Sometimes as men things are oft out of our control. ED is something that we can't control and most of us don't understand when we have it. There is a science behind the madness and it effects our listener. If it ever happens to you at least you know you know you aren't alone. Understand why you did it and we guarentee you the pain you think you are feeling will subside eventually. Nothing last forever and this too shall pass. Prom is a time to spend with your friends as the school year winds down. Prom isn't as much about the date as people seems to be these days. This listener had to deal with a prom date that was trapped in the past..we set them straight. Sometimes if you don't speak up people will walk all over you. Same goes for your your best friend. You must set a expecation line for the both of you, one that can't be violated in any way. That is the best way to keep everyone honest. We should her how. It's not easy to live a simple life with a dirt bag boyfriend. You have to work around his defects. It's time you stop working around and you start working them out. Move on, you will be better for it. Anxiety is no joke ladies and gentleman and it can be something that is supremely misunderstood. It is silent and masked and sometimes you can't even tell that someone you are so close to is going through so much. Be there for them, they need you. You never want to wrongly accuse someone of something that they didn't do or expecting them to do it eventually. Not Fair. However its best to alert them of directions and guidance. A conversation needs to be had. Gifts are something that everyone takes pride in when handling with their spouse. Then again is it something we should expect or is it something that we earn? There is so many ways to go about this and we break them all down. It's hard sometime to be the older sibling sitting on the sidelines waiting for your younger sibling to make the same mistakes you did. Then there are those times when you feel the spouse they have chose isn't up to par..this is the outcome of both. Making the choice whether or not to come out to your friends and family is certainly one of the biggest most difficult choices you'd have to make ever, we try to point you guys in a clear direction for you. My Relationship With Love offers only the best in listener experience. A talk show dedicated to helping out each and every one of you guys. Quality advice from people who've been there and done it all, making a difference every step of the way. One person at a time, we have worked for years helping our friends in all walks of life and we are committed to bringing only the best advice. Out in the open or anonymously we offer viewers a way to voice their problems and have real solutions provided. Designing our podcast around your needs we are completely built around you guys. We're here to help in every aspect we can. You fans are what makes or breaks us and your continued support is truly appreciated, iTunes is going to be a way bigger platform for us, but don't fear! We still plan to offer the same quality podcast experience you've come to like. With an emphasis on our viewers we hope to continue to grow our following and spread our message of help, doling out only the best love/life/relationship advice from people who truly know what they are talking about. We at My Relationship With Love thank you guys, our viewers and to any new-comers. Welcome to the family you've got a lot to catch up on!